Mr. Santa Rosa, all chubby elegance, put on a characteristically spectacular show, improvising and hitting notes clearly. Why See Gilberto Santa Rosa? 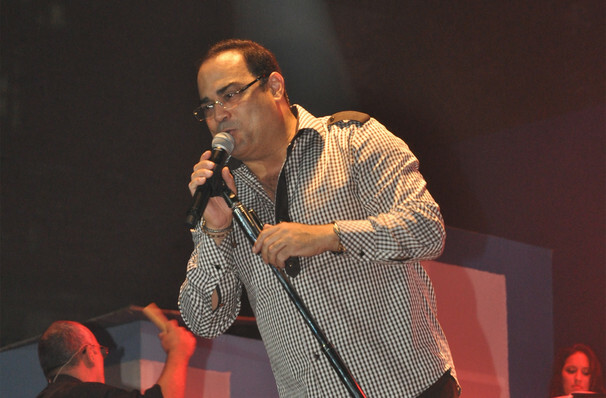 Affectionately known as El Caballero de la Salsa (The Gentleman of Salsa) Puerto Rican salsa sensation Gilberto Santa Rosa struck solo success in the 80s, graduating from backing singer to fully fledged artist with hits like Good Vibrations and De Amor y Salsa. Don't miss the Latin music licon as he hits US shores, bringing along a stellar catalogue of classic tunes from his storied career! Having carved a path through the genres of dance, pop and romantic salsa and bolero, Santa Rosa brings his heady blend to stage with the grace of an old world crooner. Playfully layering and improvising virtuosically with his backing band, this is one living legend you won't want to miss live. Sound good to you? 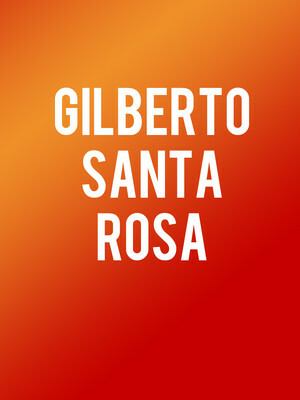 Share this page on social media and let your friends know about Gilberto Santa Rosa at Arena Theater. Please note: The term Arena Theater and/or Gilberto Santa Rosa as well as all associated graphics, logos, and/or other trademarks, tradenames or copyrights are the property of the Arena Theater and/or Gilberto Santa Rosa and are used herein for factual descriptive purposes only. We are in no way associated with or authorized by the Arena Theater and/or Gilberto Santa Rosa and neither that entity nor any of its affiliates have licensed or endorsed us to sell tickets, goods and or services in conjunction with their events.